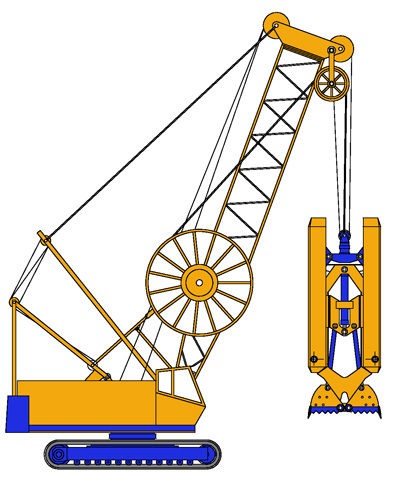 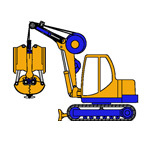 The grab CHA is a hydraulic grab mounted on crawler crane. 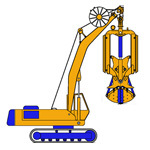 The grab is totally instrumented, and is fitted with systems to monitor and real time correction of verticality of excavation, in 2 or 3 axis, (x,y,z). 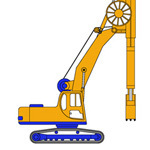 The grab can rotate 360º around its vertical axis, what is a guarantee of verticality of excavation.